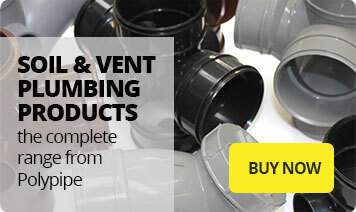 Angel Plastics are closely associated with a range of manufacturing companies such as Deeplas, Polypipe plastic guttering, Key Terrain, Brett Martin upvc guttering and Swish Building Products. These Companies have been chosen by Angel Plastics because they offer the widest range of quality product at the most competitive prices. Due to the choices that Angel Plastics have made they are able to offer a massive range of plastic guttering in all shapes, styles and colours. Most of Angel Plastics upvc guttering and downpipes are compatible with Hunter gutters, Floplast upvc guttering, Marley gutters and Marshall Tufflex plastic guttering. 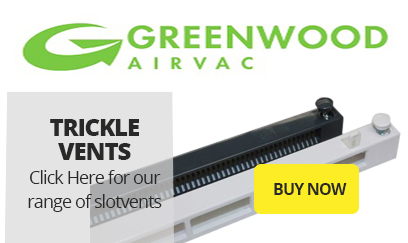 Powder coated cast aluminum gutters and aluminium rainwater downpipes are also available online. 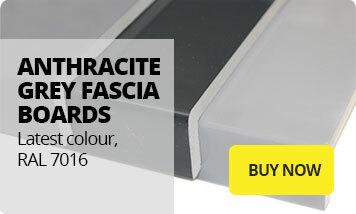 Angel Plastics also stock upvc fascias, facia, fascias and soffits in all colours. Commonly called plastic fascias, upvc soffits, plastic cladding, upvc cladding. All upvc fascias, plastic cladding, upvc cladding, plastic fascias and soffits are virtually maintenance free. Angel Plastics also stock internal bathroom cladding for walls including shiplap cladding all in upvc. Main suppliers include Deeplas Decor, Marbrex and Swish. Floplast, Permacell, Freefoam and Celluform Celuform products are also available. Angel Plastics will deliver to your door plastic fascias, plastic cladding, plastic guttering, plastic soffits, upvc gutters, upvc cladding and upvc fascias so that you can benefit from the maintenance free advantages. Upvc guttering, gutter, upvc cladding, plastic cladding, pvc cladding, bathroom cladding, facia, fascia, upvc fascias will be delivered to your door in Surrey, Middlesex, London , Sussex , Kent and all over the UK via their online shop. An increasingly popular alternative to UPVC options, aluminium guttering is an exceptional product that offers the look and rigidity of cast iron, while being more lightweight and inexpensive. Aluminium gutters require hardly any maintenance at all and they are supplied in a range of powder coated colours, meaning you don't need to paint them. From an installation perspective, aluminium gutters are also a breeze to fit; the system connects together simply and securely, with each section tightly interlocking with the next. For an unbeatable finish, all of the visible bolts and brackets can be powder coated to match the rest of the system. For more information on our range and the sizes and colours available, please see the aluminium guttering page. Among all the benefits of cast iron gutters, such as its strength and longevity, perhaps the most important is its appearance. The classic aesthetics of cast iron guttering will suit practically any building; from new commercial premises to traditional town houses. Although cast iron is extremely desirable it does come at a premium, which can be difficult to justify given the wide availability of affordable UPVC alternatives. A great solution in this case is to use imitation cast iron guttering instead. Our cast iron effect guttering, downpipes and hopper heads are convincing copies of the traditional cast iron designs, with all the benefits of UPVC. With traditional ogee, bath and gothic hopper designs, you will be able to match the look of the cast guttering you want for your building; even original heritage buildings. 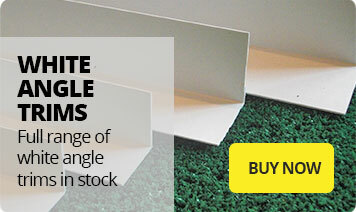 We can also supply all the necessary unions, angles and brackets you will need for the job. 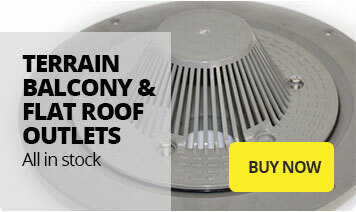 To see more of our current range of home improvements, including garden decking and our great selection of underground drainage please follow each sections respective link. Copyright Angel Plastics. All Rights Reserved Worldwide. | Web Design by Immersive Media Please DO NOT copy images or text from this site unless you have written permission from us to do so.